It has only been a few months since the names of localities were painted on the roads as part of efforts by the authorities to better guide drivers in an attempt to ease congestion. This notwithstanding, some of the road markings have already started to fade away. A case in point is Luqa Road, Qormi, just before the roundabout there. Transport Malta inspectors need to have a good look at the traffic situation in the area just outside the APS Bank branch in Attard, close to St Catherine’s Home for the Elderly. Cars go both in an out of Għenba Street to/from St Catherine’s Road. Bank clients stopping vehicles there or electric cars being charged on the opposite side of the road, apart from vehicles belonging to residents, often cause traffic flow problems. The stretch should either be declared one-way or parking should be cleared, at least on one side of the road. Will residents continue to be forced to suffer the inconvenience caused by developers? For residents of Reggie Miller Street, Sliema, this seems to be the case. The street, a major entry and exit point, is regularly blocked because of large trucks on a building site spilling onto the road. When will this stop? It is not residents only that are affected but motorists too. 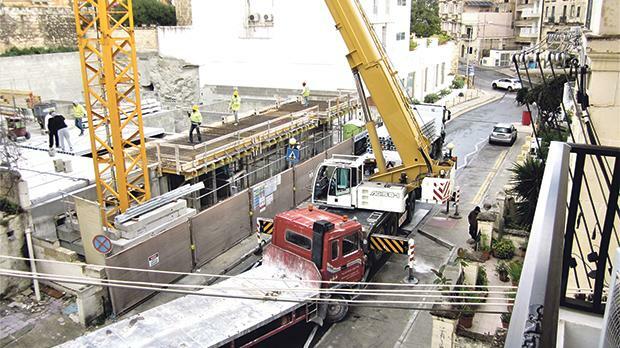 The stretch of Reggie Miller Street, between Luqa Briffa Street and Rue D’Argens, was closed to traffic for some time last Saturday morning as a crane was on site. A warden was stationed on the Rue D’Argens side but a sole red-and-white cone ‘blocked’ the road close to Luqa Briffa Street. Surely, better arrangements could have been made, also to give motorists more advance warning. Now that the new recycling system has been in place for over a month, is it not time that the collection of garbage is sorted out? 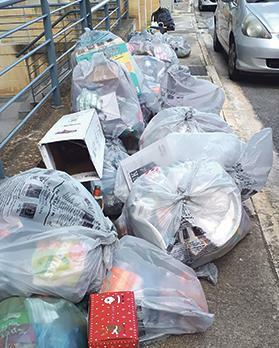 Mountains of garbage bags can often be seen on the streets, often blocking pavements and making it impossible for pedestrians to make their way through, as was the case in Naxxar recently. The government spent months urging residents to follow the new rules but the least it can do is practise what it preaches.